Like the Pro’s In Just 5 Days!!! Apply NOW for the Raved About "Dialing for Dollars Workshop Intensive Webinar" with WTPowers CO Founder Tracy 'Power Gal' Monteforte! FACT: Enrolling Prospects into Your Business Opportunity is a Predictable Formula You Can Improve Week-After-Week, Month-after-Month and Year-After-Year Once You Have the Correct Skills, the Right Tools and a Positive Mental Attitude. We've been "Dialing for Dollars" LIVE every Monday night for over a decade, piquing interest and pre-qualifying prospects for our webinar participants. They begged for more! That's why I created my Dialing for Dollars Workshop Intensive in August 2008. I've helped thousands of networkers gain the confidence and skills necessary to succeed in this industry and I can help you too! surveyed from my workshops said it met or EXCEEDED their expectations! Tracy, you handle everything with such grace, another fantastic job! This is the training our industry is missing!" "This workshop was the best investment I have ever made in myself and my business! I have been in network marketing for several years but have never achieved the success and income I knew was available. The biggest block was my crippling fear of making phone calls, NOT ANYMORE!! The skills Tracy taught me are directly responsible for making this my most successful week to date [6 customers and 2 associates enrolled during workshop]. I am so grateful! The other members of the group were so wonderful and we all learned so much from each other, it was a joy to be on the calls with them as well. The nightly focus on a particular aspect if running a successful business was invaluable. I am going to highly recommend this workshop to all new associates; I can just imagine where my business would be now if I had taken this workshop years ago!! Thank you so much Tracy." “I really enjoyed the dialing for dollars workshop. This training was in the top 5 of all the training I've had in Network Marketing. This was the first workshop I've attended that attached practical to theory and technique. You gave all of us a Blue Print for success when using leads or cold calling. I know now why you are a true leader in this Industry. I highly recommend this workshop to anyone in the network/internet marketing industry. "Before the workshop, I dreaded the phone, and didn't believe it would work for me. Since D4D, I am excited to make calls, the scripts are the best I have ever seen, I have a new found confidence in myself, and KNOW that my phone is going to work for me! I am ready to watch my business EXPLODE!!!! I highly recommend D4D to anyone who wants to see their business take off!" This workshop has been very helpful in understanding the how and why of prospecting. Working with the team during this time has made me aware of how vital teamwork can help your business grow. All of the knowledge I have learned will be a great help in getting to the destination I already see myself. Looking forward to continued work with the team so we can all grow together and have valuable knowledge to pass on to our own teams as we grow. GO TEAM! Thanks Tracy!! The D4D Workshop Intensive experience was great and I know I benefited greatly and learned a lot from you and my fellow participants. Your sincerity in the way you worked on the phone and one on one with each of us was awesome, empowering and made each of us feel valued. I now know how to call prospects and what to say to them. I no longer have that "fear of calling" and the phone no longer weighs a thousand pounds . As a result of the workshop I know I can do it. "When I smile and dial... I will build my money pile" and "SW, SW, SW, SW ... next!" Anyone who wants to build a home-based networking business over the phone can not go wrong with this workshop. "Before the Dialing for Dollars Workshop I had consistently struggled with time management and a follow-up system and I didn't have enough people in my pipeline and I was always bouncing around from one system to another and could never really give the people in my team a clear direction and system to follow. "Within one week of the Dialing for Dollars Workshop, I had recruited 2 new representatives and have three others I anticipate will join this week. It's very exciting. "The training is laid out in a step-by-step fashion and you're really engaged throughout and there's no fumbling around. My pipeline is now full every single week and the follow-up has never been easier. We are doing our own Dialing for Dollars calls with our team several times a week. I actually bring my prospects to these calls so they can experience the team support they will have and they are blown away! The Dialing for Dollars Workshop is definitely worth your while if you're brand new or if you have been in the industry for awhile as it gives you and your team the system, training and tools you need to succeed." I loved the closeness of the team. We laughed together, we cried together, we learned together, we grew together. No matter what skill level, we stuck together and encouraged each other. But most of all, the best part of this workshop for me was getting to know Tracy better. Her teaching skills are incredible - without judgment, without harsh tactics. Her command of NLP and the various ways to talk and lead people to her end result are without equal. I have been in the company of Tony Robbins and I would put Tracy up against him in a flash. Tracy is honest and she delivers exactly what she promises... and more. Between what I've learned, the new friends I've made and the new skills I look forward to demonstrating, (as well as the refreshment of some already acquired skills), all I can say is "Look out world... there's a new force in town named Cynthia you will need to be dealing with!" Thank you from the bottom of my heart! What an honor it is to learn from you. Love You! "Tracy I want personally thank you for the Dialing 4 Dollars workshop. I had a fantastic time. I now have the tools and a simple system to follow to take my business to the next level. This work shop gave the confidence to Smile and Dial. Now I am having fun as I interview prospects for my business. I believe the most important aspect of this work shop for me was; changing my mind set, having the end in mind, able to see 12 months ahead as if it is now, using a.c.h.i.e.v.e method of goal setting, and effective 3 way calling. I will recommend this works to everyone. Thank you, Thank you, Thank you!" "I just loved the power of the class and how it impacted my business and the biggest part of all was really breaking through that fear barrier by making us get on those calls and calling. We're no longer just studying, we're actually making a shift in how we handle our business and how we drive it forward. The interaction was so key and powerful for me because it helped me move through the fear door and move forward and earn much better income now. Thanks again, it was a great, great class. I highly recommend it to anybody!" "This was the perfect class for me to kick start my home based business. All the tools I need to be successful were part of the class. The best part was dialing live with the participants and Tracy……she actually gave up leads. How awesome is that. The scripts are priceless and my favorite form is the Power 8. I started using this right away so I can measure my progress at the end of the day.
" The class also helped me deal with my fear. I can stand in front of a crowd and speak but I have problems with speaking to people on the phone to share my business. I realize that if I put a smile on my face and have the right posture, I can do this. When I finish the call, I hit the “That Was Easy” button Tracy gave us. This makes me feel warm and fuzzy and the fear goes away. "Tracy is a wealth of knowledge relating to calling leads, effectively using the auto-dialer and as I mentioned before, the scripts. The information was well organized and presented well. I would recommend this class to anyone who wants to grow their home based business and help a lot of people do the same." YOU TOO can become a Dialing for Dollars Dynamo! Learning Experience! Submit your application NOW!! RE: Calling All Frustrated Network Marketers! Have you ever wished that someone would just sit down with you, and physically help you make your pique interest and follow-up calls to your prospects? You know...make a few calls for you while you listen. Let you make some calls while they listen. Point out what you’re doing right as well as the ways you could improve. Give clear directions and valuable feedback. Wouldn't it be EASY to get started and improve if there was a "live" person you could talk to? A person who has done it all and gotten real-world results? Help you overcome your fear of picking up the phone to call prospects. Assist you in designing a seamless and highly effective prospecting pipeline and how to pre-close prospects and inspire them to keep moving to the next step. Show you how to use proven telephone scripts including when and how to improvise. Show you exactly how to track all of the results of your calls so you can begin to predict and control your outcomes. Impart the necessary time management skills required to work your business consistently. Teach you how to quickly build rapport with your prospects so they want to hear you out and actually look forward to your next call? Provide you with the tools and mind set to overcome procrastination once and for all. Hold your hand through the complexities of the follow-up process and teach you exactly what to say to decrease your “no show” rate by as much as 75%. Help you sort prospects three to five times faster, yielding two to three times the results. Teach you why 3-way calls are critical to your long-term success and how to do them effectively. How to have FUN while prospecting! Eliminate all of the guess work, frustration, and hassle by cutting through the confusion and teaching you, live, what to do and how to do it in 5 short days. Each Session Consists of 60 Mins of Live Prospecting Plus Training on the Topics Below. Times listed are Pacific Time. Due to the fact that we are making live prospecting and follow-up calls sessions may run over by 15-30 minutes so plan accordingly. 100% of surveyed graduates said they would recommend this workshop! I am NOT putting people in a webinar, giving them some leads and a script and turning them loose! That is NOT how you create successful business builders and leaders. With the respect of a CEO and the love of a hobby! How to attract real team members that want success as much as you do! How to consistently predict your results! How to focus on what makes you money… offering your products and your opportunity To REAL people who are eager to buy! ... I’m committed to helping you build the business of your dreams! And of course, I’ll always make sure you understand why we’re doing the things we do because I want YOU to be able to duplicate this process when the workshop is over so you can duplicate the success with your team members! As the 5 days progress and by the time the workshop ends you'll be gaining skills and confidence, as months -- even years -- of dreaming and wistful thinking are transformed into a REAL Income-Producing business that grows and grows and GROWS! ... A REAL home-based business with REAL repeat revenue potential, right before your very eyes, in just 5 days flat! for all Inner Circle Participants! I want to make this workshop absolutely FOOLPROOF for you. So, I'm starting the 7 Inner Circle Participants at square one -- with FRESH, Pre-Qualified Telephone Verified Prospects! You will not be required to buy or generate your own leads. Just show up to the workshop ready to learn, smile and dial and we’ll provide the prospects and scripts for you. In fact, in the beginning of the workshop, I’ll even do all of the talking for you! It doesn’t get any better than that! All prospects we pre qualify are yours to keep forever and any prospects we do not reach by phone, we’ll divide amongst the participants. So you’ll leave with hot, new prospecting skills and hot new prospects to use them with! We'll start the live dialing on the first session. Get excited! OK, So What if the Inner Circle is not right for you or is already sold out? Due to the overwhelmingly positive results we create in each workshop I know the Inner Circle will sell out in record time. But to be fair and give everyone an equal opportunity to participate, I've added an Outer Circle. ... You're exhilarated and tingling with excitement as you hang up the phone from our final session with extreme confidence knowing that you possess all of the skills, tools and strategies to prospect and build like the Pro’s. In just 5 days, you've progressed from newbie to PRO status because you dove right in and participated. You played full out. You committed to your success! And these new skills, this new attitude, are part of your DNA! It's you! It’s your potential, finally realized! And it’s duplicable! You can hardly wait to attract and lead others on your road to personal success and fulfillment! This isn’t some fluff-a-nutta business…it’s a real business, serving real people, with a REAL earning potential. And now, you can't wait to show your family and friends and business prospects because you know it’s real! If they don’t see it, it’s their loss. You now focus on only the right people, with the right attitude. The Success Train is leaving the station and you are fully on board! ... Then I invite you to participate in this workshop by clicking the link below and locking in your seat for either the Inner Circle or the Outer Circle. I am delighted with my results since attending your "Dialing 4 Dollars" workshop. I have been in network marketing for five years, and have always had a paralyzing fear of using the phone to call prospects. I am amazed how your workshop totally transformed my mind-set about dialing and now it is hands-down my favorite prospecting activity! It is actually FUN for me and my team now! Thank you so much for having a hands-on program that puts people into action. Now, I know that a paradigm shift has happened in my life and my results are going to skyrocket! Truly Grateful. Please Reminder, there's no risk in submitting your form. However, I will be filling seats for my next "Dialing for Dollars Live Workshop Intensive Webinar" on a first-come, first-served basis for those applicants who qualify. So even if you are unsure if this is right for you, you have nothing to lose by submitting your application to see if you qualify. There will be a cost to participate but it's free to apply. I'll give you all of the workshop dates and details when I call you. What an incredible workshop! I now see the phone as my friend. I can't wait to call people. I have never felt that way before. In fact, I would go months without calling a single person and then when I did, I would pray that no one would answer so the dialer could just leave a message! I have attended so many events in my lifetime that I feel I can give the speech myself. But never have I experienced a workshop that actually gave me the tools to go do it! This has been the most incredible week and I am already seeing direct results from the activities we did in the workshop. "Prior to taking Tracy's Dialing4Dollars workshop, I was not experiencing the level of success with phone prospecting that I knew I was capable of. Tracy's level of expertise in teaching and mentoring allowed me to release all anxiety and fear around making calls. I now have a feeling of ease and comfortableness when I pick of the phone to call a prospect. In fact I'm finding it to be rather rewarding emotionally, because I know that I am offering each prospect an opportunity that will change their life for the better. I totally enjoy prospecting now and look forward to making my calls! 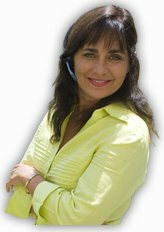 I highly recommend taking Tracy's dialing4dollars workshop, you owe it to yourself if you have an hesitancy at all around phone prospecting. Thank you Tracy, you are truly a Power Gal!" "Just a quick note to offer my gratitude for the dialing for dollars class you taught. Because of those skills. I have fired my boss at the beginning of this year, have started to enjoy the fruits of my labor and am sitting in Jamaica at a company event. I am in complete gratitude, and words cannot truly express my thanks." with you and watching you GROW!